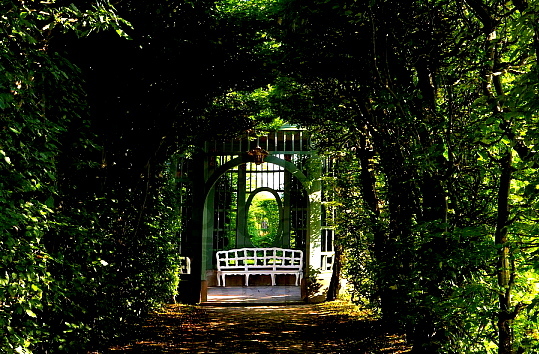 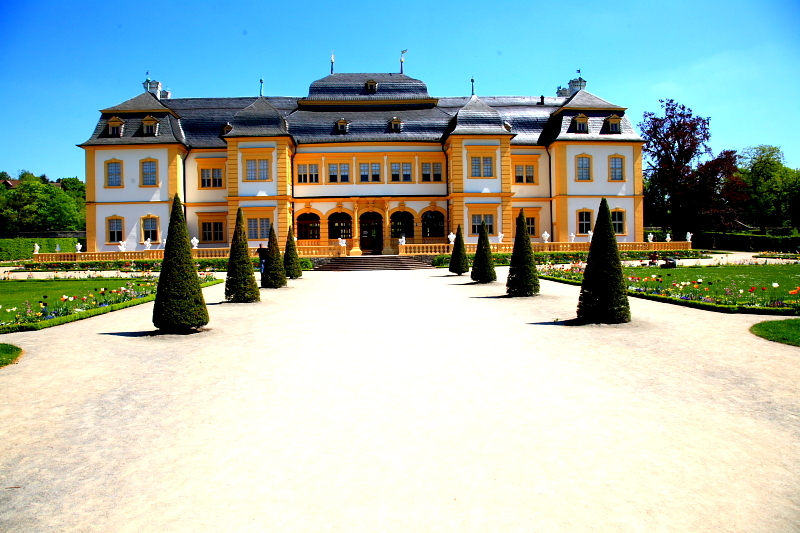 loveisspeed.......: Veitshöchheim Palace is a municipality in the district of Würzburg, in Bavaria, Germany. 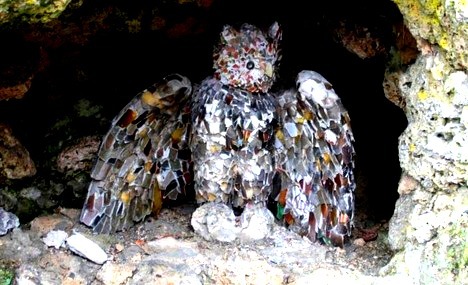 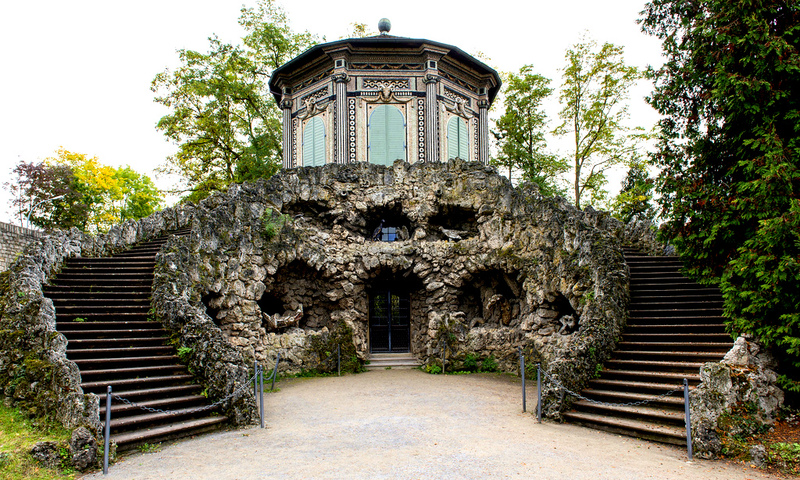 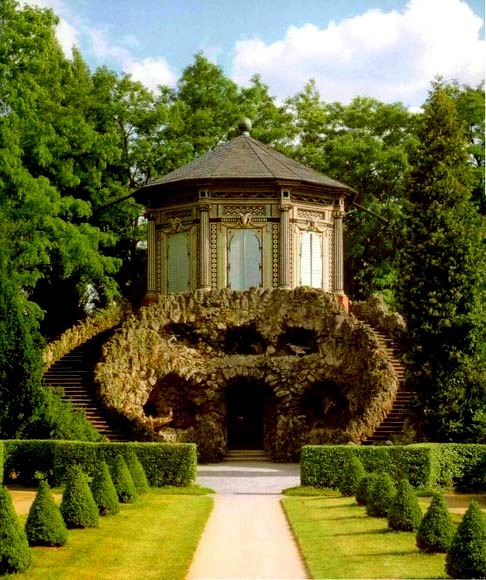 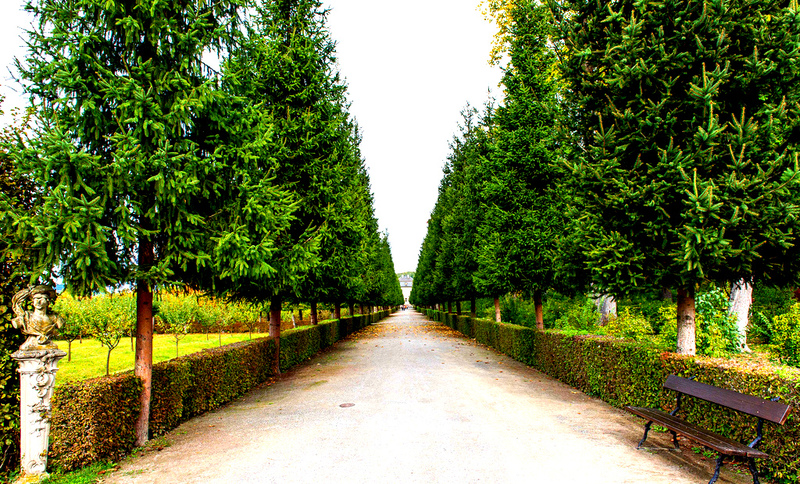 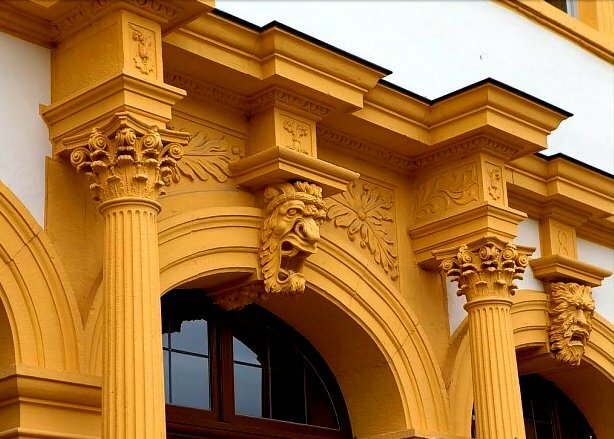 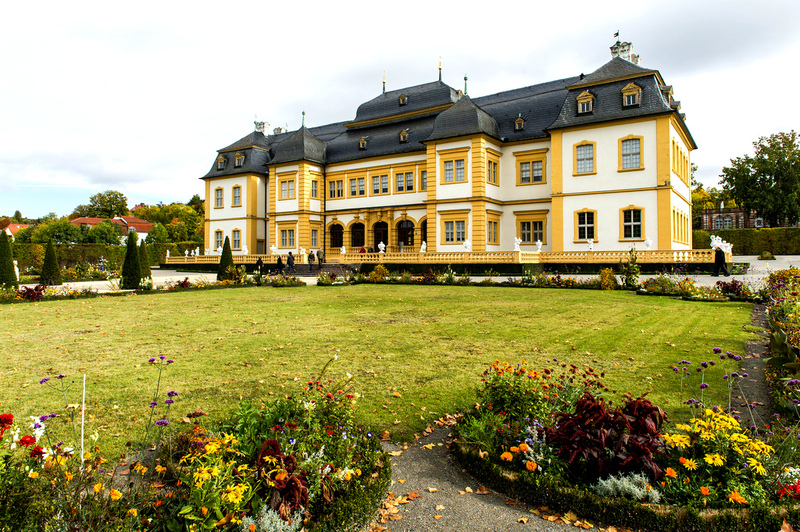 It is situated on the right bank of the Main, 6 km northwest of Würzburg. 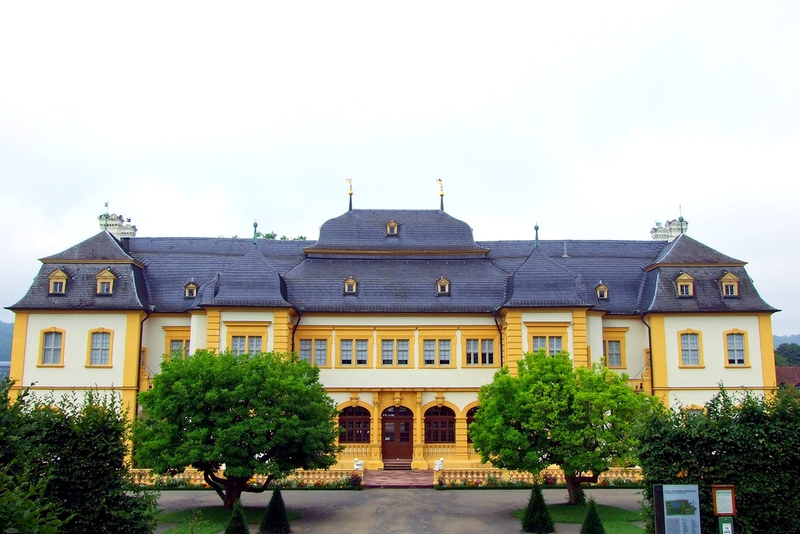 In the town is Schloss Veitshöchheim; this summer palace of the Prince-Bishops of Würzburg was built in 1680-82, and was enlarged to its present appearance in 1753 by Balthasar Neumann. 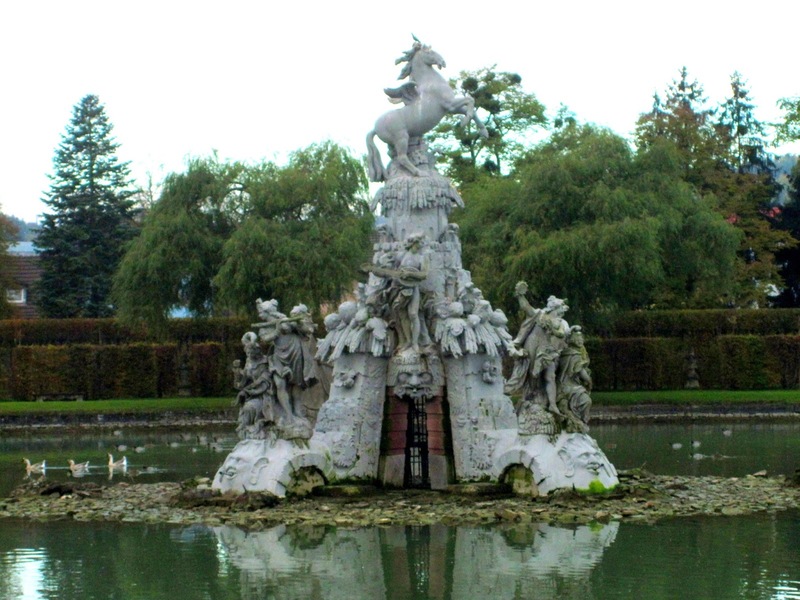 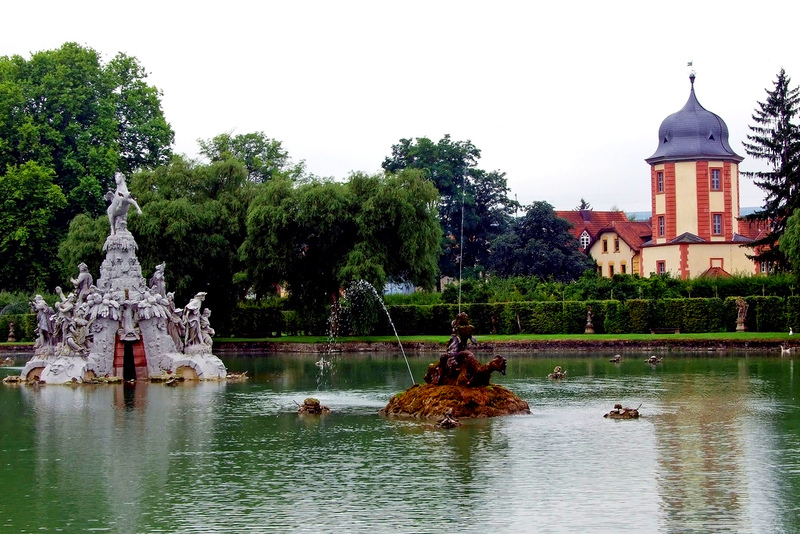 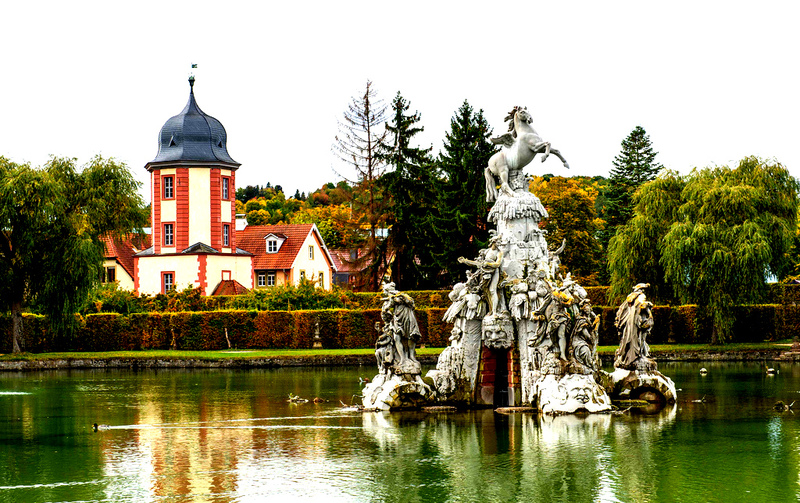 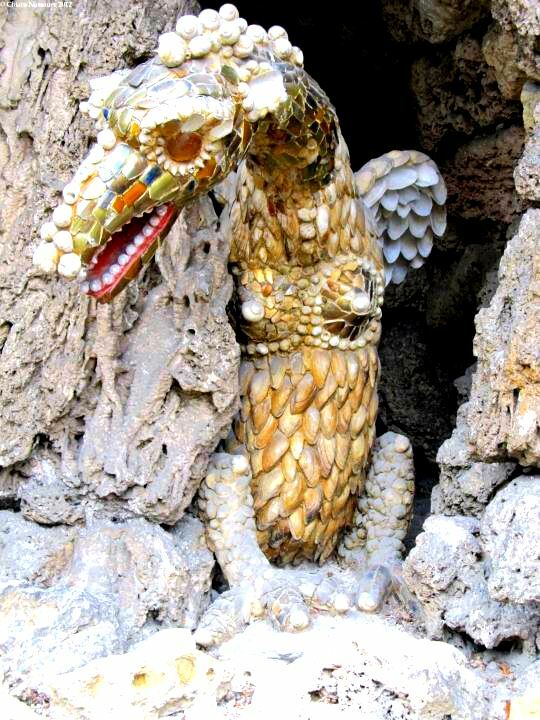 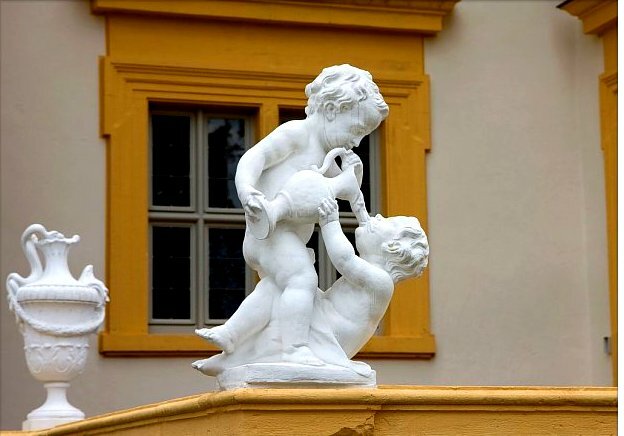 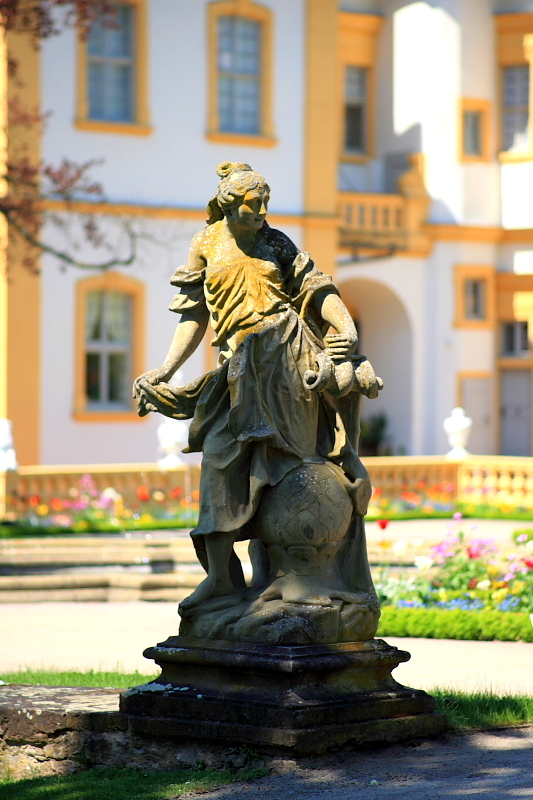 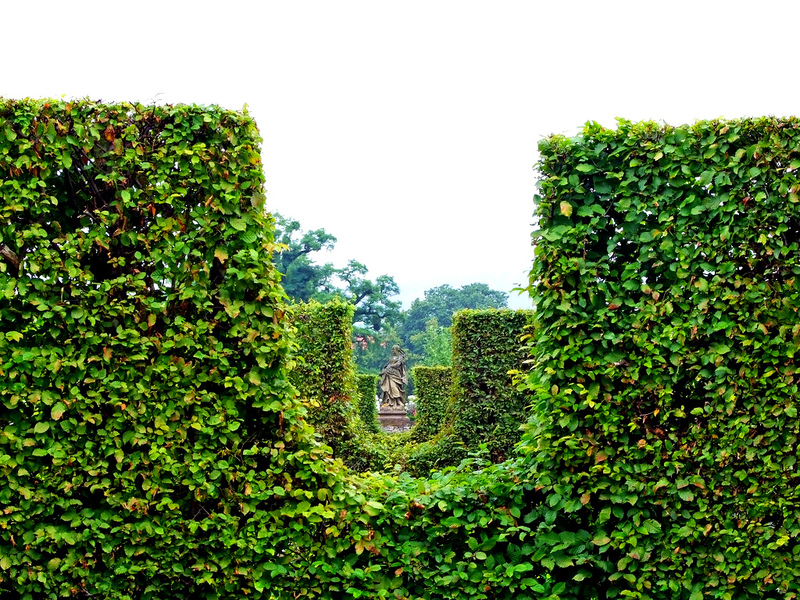 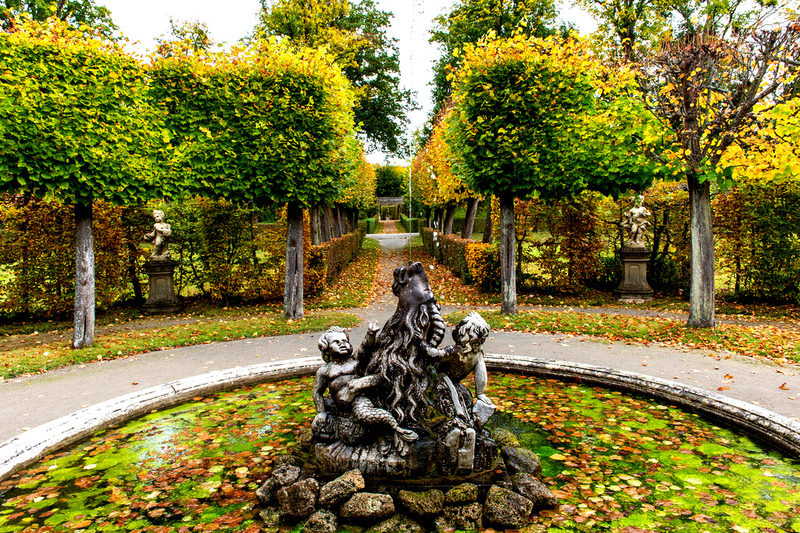 The gardens were redesigned for Prince-Bishop Adam Friedrich von Seinsheim (1755–1779), with lakes and waterworks, and filled with hundreds of allegorical sandstone sculptures from the workshops of the court sculptors Ferdinand Tietz and Johann Peter Wagner. 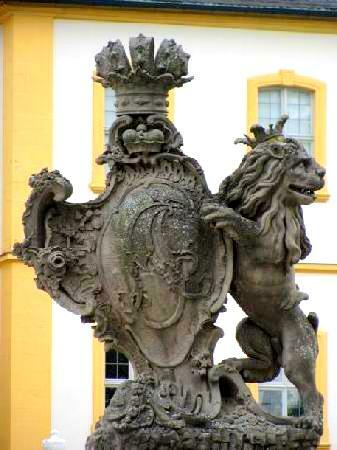 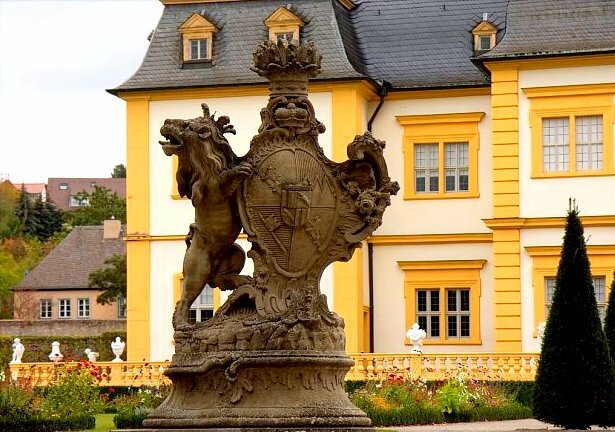 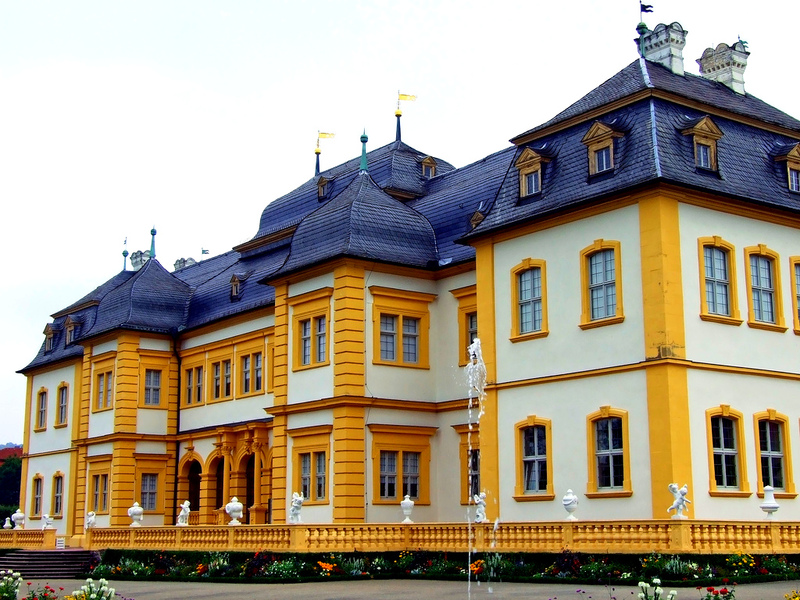 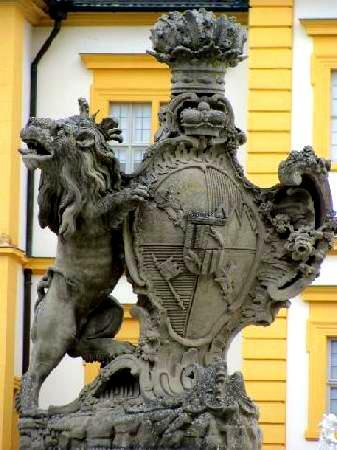 Veitshöchheim Palace is a municipality in the district of Würzburg, in Bavaria, Germany. 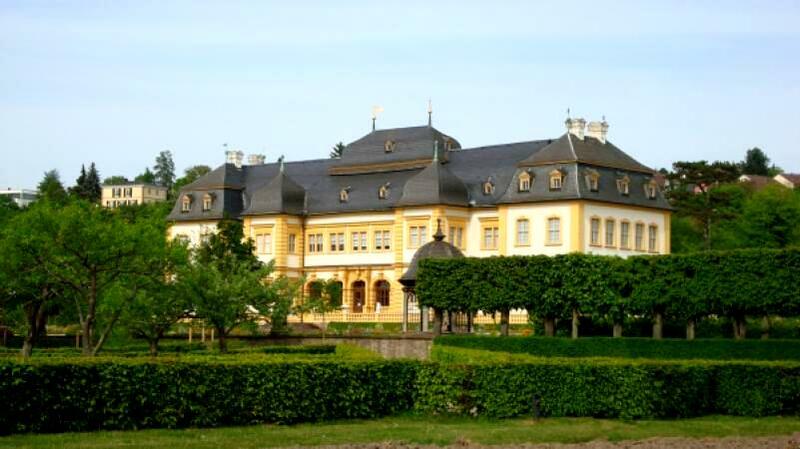 It is situated on the right bank of the Main, 6 km northwest of Würzburg. 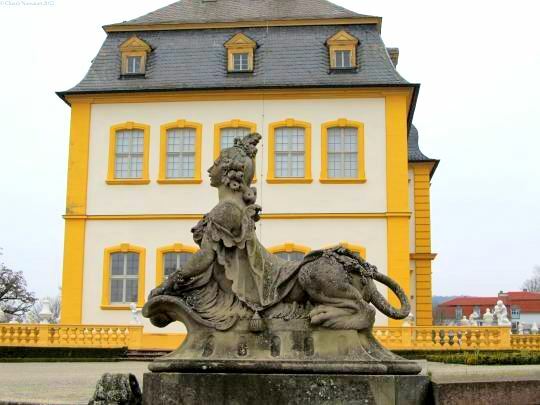 In the town is Schloss Veitshöchheim; this summer palace of the Prince-Bishops of Würzburg was built in 1680-82, and was enlarged to its present appearance in 1753 by Balthasar Neumann. 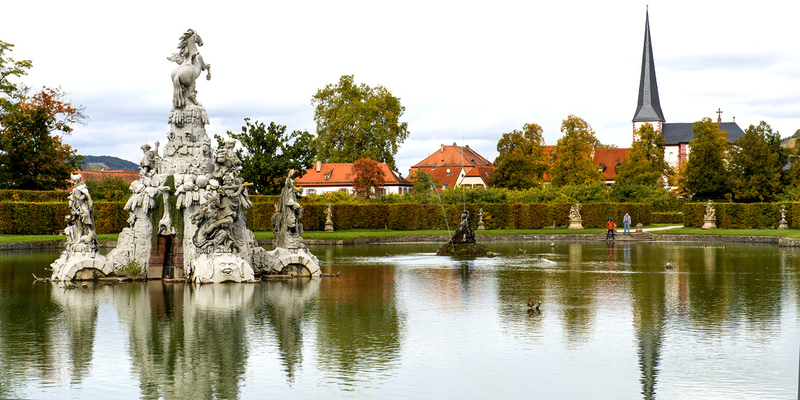 The gardens were redesigned for Prince-Bishop Adam Friedrich von Seinsheim (1755–1779), with lakes and waterworks, and filled with hundreds of allegorical sandstone sculptures from the workshops of the court sculptors Ferdinand Tietz and Johann Peter Wagner.